“In the eighteen years since the infamous ‘Black Hawk Down’ incident in Mogadishu,” The Nation’s Jeremy Scahill writes in an exclusive report in this week’s issue, “US policy on Somalia has been marked by neglect, miscalculation and failed attempts to use warlords to build indigenous counterterrorism capacity, many of which have backfired dramatically.” But now the US is intensifying its military and intelligence efforts in the country. 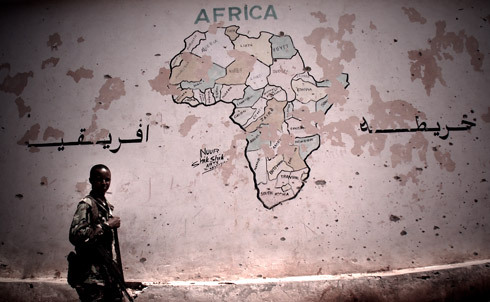 According to Scahill’s on-the-ground investigation in Mogadishu, conducted with filmmaker Richard Rowley, the CIA has not only opened a new base in the capital city, but also uses a secret prison in the basement of Somalia’s National Security Agency. 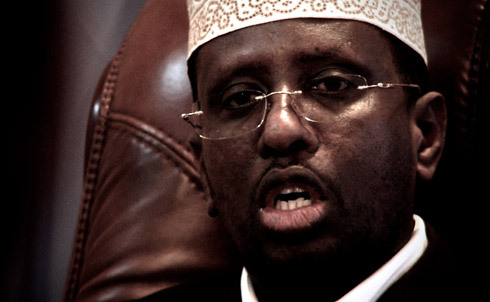 It is unclear how much, if any, control Somali President Sheikh Sharif Sheikh Ahmed has over the CIA-backed counterterrorism forces in Mogadishu. 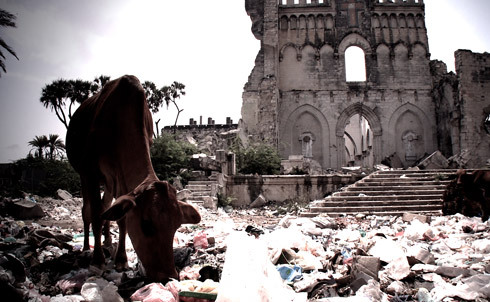 Livestock eat trash near the ruins of a cathedral in central Mogadishu. 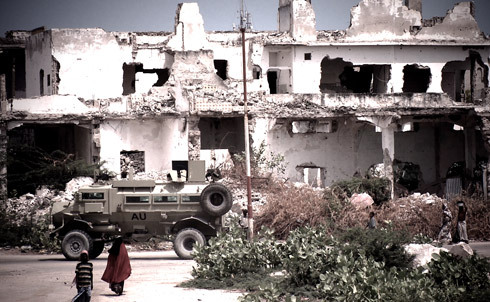 The once-beautiful city has been devastated by two decades of war. 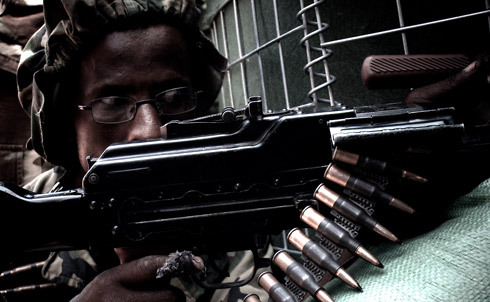 African Union forces from Uganda and Burundi navigate the city in heavily armored mine-resistant vehicles. 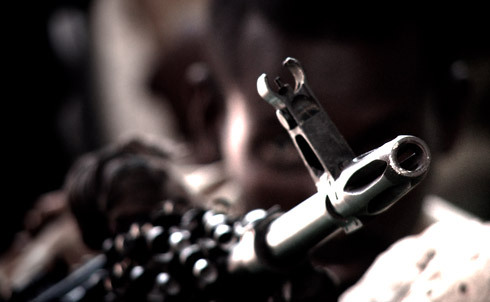 Militiamen fighting for the Somali government take up positions on the front lines of the government-controlled zone. 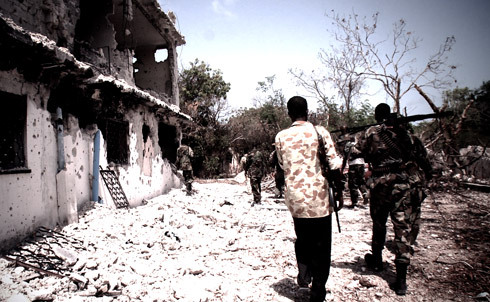 Fighting between the government’s militias and the Shabab, the Islamic militant group that controls much of Mogadishu, has cleared all civilians from the front lines, and whole neighborhoods now stand abandoned. 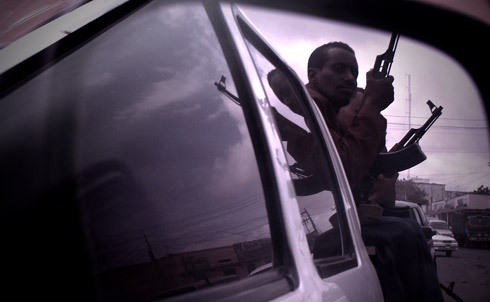 Mogadishu’s streets are patrolled by armed men with dozens of different affiliations—some uniformed, some in plain clothes. 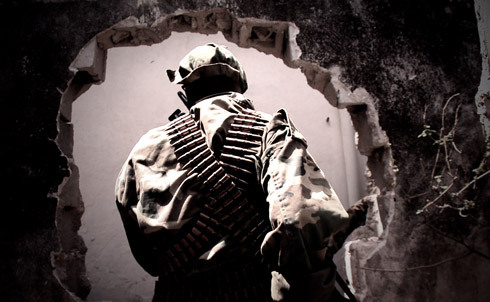 At times, largely because of abuses committed by Somali militias the CIA has supported, US policy has strengthened the hand of the very groups it purports to oppose and inadvertently aided the rise of militant groups, including the Shabab. 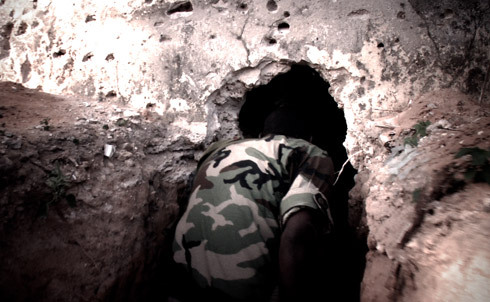 The Shabab constructed a honeycomb of underground tunnels in Mogadishu to move from building to building. By some accounts, the tunnels stretch continuously for miles. 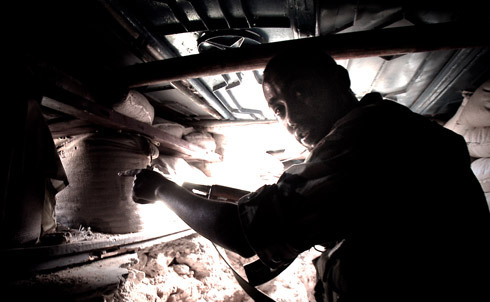 “Pop-up” positions once used by Shabab snipers and guarded by sandbags are all that remain of guerrilla warfare positions. 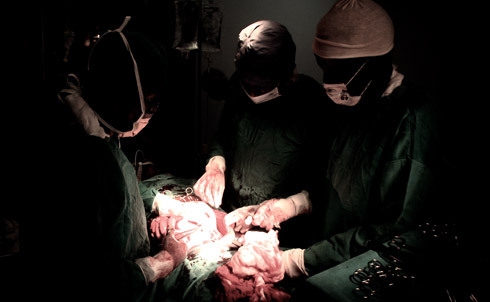 Doctors at Al Madina Hospital—Mogadishu’s only trauma hospital—struggle to save the life of a civilian victim of a bomb attack on an AU convoy. The roadside bomb missed its target and hit a passenger bus full of university students. 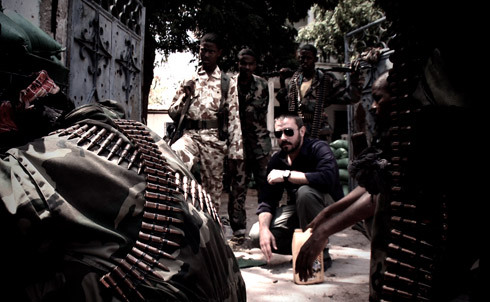 For more, read Jeremy Scahill’s article in this week’s issue, The CIA’s Secret Sites in Somalia.